The largest solutions of pre-terminated fiber optics, including multimode and single-mode patch cords, MTP/MPO fiber trunks and harnesses, plug-n-play modules/cassettes and fiber enclosures. As we know, a fiber optic multiplexer is a device that processes two or more light signals through a single optical fiber. It is introduced as an effective solutions to a fiber’s transmission capacity using different techniques and light source technologies. By using a multiplexer, media or data signals can be forwarded further, more securely with less electromagnetic and radio frequency interference. The so called WDM (Wavelength Division Multiplexing) utilizes the total available pass band of an optical fiber. It assigns individual information streams into separate wavelengths, or portion of the electromagnetic spectrum. Frequency and wavelengths can be regarded as the same concept. The only difference is the frequency is typically used to describe the radio carriers. Frequency division multiplexing assigns each signal a distinctive frequency. Digital video multiplexer is a typical fiber optic multiplexing devices for video and data signal’s fiber optic transmission. Digital video technology emerged as the ultimate facilitator of surveillance needs and has played an important role in the security area, that enables flexible, real-time, highly manageable and tunable solutions. Digital video multiplexer combined with this one-up digital uncompressed technology with WDM technology, make it possible to extend video and data service up to 100km distance simultaneously through one single fiber, and get the real-time high-definition video on the receiver side. This device is usually used for security application to control and monitor video cameras signals in airports, train station and public hotspots. FiberStore fiber optic digital video multiplexer adopt the advanced international digital video and coarse wavelength division multiplexing (CWDM) technology, these multiplexers can transmit from 1 channel video & audio & data channel to max 64 channel signals in different optical distances. These video multiplexer are single mode and multimode fiber type with multichannel track mount or standard units. Insert card version is also available, which can be inserted into our 16-slot, 19inch 2U or 4U rack-mountable card cage for 10-digit coding and non-compression video transmission. Typical fiber ports of these multiplexer are FC, SC or ST, interfaces are RS232, RS422 or RS485, which can be customized by users for actual demand. Now, in the following text, let’s overview FiberStore four types of digital video multiplexers: Video multiplexers, video & audio multiplexers, video & data multiplexers, video & audio & data multiplexers. Video multiplexers are built on Coarse wavelength division multiplexing (CWDM) and can encodes multi-channels video signals and convert them to optical signals to transmit on optical fibers. It handled several video signals simultaneously, and can also provide simultaneous display and playback features. We provide video multiplexers in different channels such as 1, 2, 4, 8, 16, 24, 32, 64 channels. They are available in both color and black and white video multiplexers, digital video multiplexers and processors. With a video multiplexer, users can record their combined signals on the VCR or wherever else they want to record. Our video multiplexer help users built a cost effective network system with the best process control and quality assurance. Digital multiplexer has two VCR IN connections and two VCR OUT connections. There is one pair of VCR IN/OUT 4-pin DINI connectors (Y/C) and one couple with BNC connections (composite video). The VCR IN connectors is used to connect the multiplexer to a VCR which will be used to playback recorded images. Connect the Video OUT connector on a VCR to one of the VCR IN connectors on the multiplexer. The VCR OUT connectors are used to connect the digital multiplexer to a VCR which will be used to record video. Connect the Video IN connector on a VCR to one of the VCR OUT connectors on the multiplexer. Video data multiplexers are based on digital video technology to provide fiber optic transmission of video and return or bidirectional data signals in demanding environments. They can provide highly reliable data transmission and expandable data capacity over fiber optic cables up to a few tens of kilometers. The video data multiplexers simultaneously transmit multi-channel 8-bit digitally encoded broadcast quality video over one multimode or single mode optical fiber. This module is directly compatible with NTSC, AL, or SECAM CCTV camera systems and support RS-485, RS-422, and RS-232 data protocols. These muxes are typically used with cameras that have PTZ capability. The plug and play design ensures adjustment-free installation and operation. LED indicators are provided for instant monitoring system status. We supply video & data multiplexer in channels includes 1, 2, 4, 8, 16, 24, 32 channel. Typical installation utilizes the transmitter unit at the camera end of the link, and connects via a single fiber optic cable, to a receiver unit at the monitoring end of the link. These Video & Data multiplexers are suitable for concentration management in 1U/2U/4U Racks, and we also can supply the rack chassis for you. Video and Audio Multiplexer combines digital video with digital audio to form the embedded signal. It has optical remote monitoring capabilities so that operation can be controlled remotely. The audio video multiplexer can simultaneously transmit 1-64 channels of 8-bit digital encoded broadcast quality video/unidirectional or bidirectional audio signals over multimode or single mode optical fiber. These multiplexers are used in applications where the cameras have P/T/Z capabilities. We supply video & Audio multiplexer in different channels such as 1, 2, 4, 16 channels, they are ideal for applications of security monitoring and control, highway, electronic policy, automation, intelligent residential districts and so on. Video & Audio & Data Multiplexers transmit 1-64 channels of 8-bit digitally encoded broadcast quality video / return or bidirectional data / unidirectional or bidirectional audio over one multimode or single-mode optical fiber. These multiplexers are used in applications where the cameras have P/T/Z capabilities. With Plug and Play design, it can convert, integrate, groom and multiplex multiple video/audio/data streams effortlessly. The Video & Data & Audio Multiplexers are ideal for a wide range of multiplexing and remultiplexing applications including Broadcast /Studio, CCTV audio and Professional AV applications. FiberStore is a leading global supplier of telecommunications solutions for the electric utility, pipeline, transportation and industrial applications. This powerful family of optical multiplexers permits consolidation of all telecommunications requirements into a single, integrated network. This entry was posted in FIberstore News, Video Multiplexer and tagged digital video multiplexers on February 27, 2014 by Amelia.Liu. As HD content becomes the norm in video and broadcasting industry, the limitation to transporting HD video on a network have a bigger impact on budget, responding to this demand in HD video transmission, FiberStore releases the 3G HD digital video SFP transceiver families address issues raised by the data-scrambling algorithms used in DV, enabling digital video to be transported over optical network using standard transceivers,” says Dan Ligon, director and principal analyst for SMPTE. “We are ensuring that we meet this demand in a highly-efficient and cost-effective manner, while providing a superior service experience to our customers. 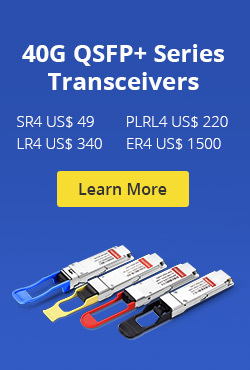 Digital Video SFP transceivers are designed to affordably transmit SDI, HD-SDI, or DVB digital video component signals over fiber using standard optical transceivers. It is a dual channel optical transmitter module designed to transmit optical serial digital signals as defined in SMPTE 297-2006. It supports from 50 Mbps to 3Gbps and is specially designed for transmitting SMPTE 424M/292M/29M/259M pathological patterns video with reach of 10, 20, 40km over single mode fiber. The digital video SFP transceiver offers a direct and affordable solution to the problems of digital video optical transport. They allow the transport of SDI, HD-SDI, or DVB ASI component video signals over any optical transport system that employs MSA standard optical transceivers. FiberStore is a leading global suppliers of optoelectronic device solutions. We designs, develops, manufacturers and market a diverse portfolio of high performance, cost-competitive fiber optic communication products for all application. Our broad fiber optic portfolios includes CWDM DWDM network components, bulk fiber cables, fiber patch cable, cable management equipment, as well as series fiber testers & tools. This entry was posted in FIberstore News, SFP Transceiver and tagged fiber patch cable, sfp transceiver on December 20, 2013 by Amelia.Liu. Micrel Semiconductor has introduced SY88053CL and SY88063CL limiting post amplifier. Both devices support the expansion of the next generation passive optical network (PON) FTTH XGPON and 10GEPON optical line terminal (OLT) ideal for applications. The product line also applies to support multi-rate applications. Fiber optic transceiver module, the maximum rate is up to 12.5Gbps. Support for Ethernet, Fibre Channel, OTN and OBSAI data rate. Both devices incorporate fast SD Assert and LOS De-Assert times across the entire differential input voltage range of 5mVPP to 1800mVPP which enables improved link efficiency and optimization. In 3mVPP to 30mVPP wide LOS / SD threshold range provides a 4dB electrical hysteresis. Integrated 50 Ohm input and output impedances optimize high speed signal integrity while reducing external component counts and in turn, cost. TTL compatible JAM input enables a SQUELCH function by routing back the LOS or SD signal. The SY88053CL enable user adjustable decision threshold adjustment for optimized Bit Erro Rate operation in noisy applications with asymmetrical noise distribution while the SY880563CL provides a user selectable Digital Offset Correction function that automatically compensates for internal device offsets in the high speed data path. Other features include multi-rate 1Gbps to 12.5Gpbs operations, optional LOS or SD output, selectable RXOUT +/ RXOUT- signal polarity (SY88053CL) and 25ps typical rise / fall time. Beyond the current customer demand through increased performance margins, improved manufacturability of the module, while reducing costs. By increasing each node and the downstream branch exceeds 512ns link budget margin established, to improve the efficiency and data throughput of the link. By optimizing in a noisy environment and the error rate or RAMAN EDFA Optical Amplifier noise characteristics of asymmetric compensation, expanding the system extends the scope to improve the data throughput. Both devices offer a wide power supply range of 3.3V+/-10 percent and come in an industrial temperature range of -40 degC to +85-degC and a tiny 3mm x 3mm QFN package. This entry was posted in FIberstore News and tagged FiberStore, Micrel, Optical Amplifier on August 19, 2013 by Amelia.Liu. NewPhotonics Corporation, a leading designer and manufacturer of photonic integrated circuit, or PIC, based optoelectronic modules and subsystems for bandwidth intensive high speed communications networks, last week announced the first shipments of optical transceiver modules out of its new, high capacity factory in Dongguan, Guangdong Province, China. The new factory consists of approximately 80, 000 square feet of production spare, which includes approximately 50, 000 square feet of clean room area. The new production lines use state of the art manufacturing equipment for optical sub-assembly (OSA) fabrication and final module assembly and test. Module work cells are designed to support rapid reconfiguration of production lines, which allows quick reaction to the changing needs in the dynamic market of optical modules for high speed communications worldwide. Dongguan factory is the latest addition to the company’s manufacturing capabilities. Another basement of manufacturing, assembly and test operations facilities is located in Shenzhen, China. Together with FiberStore, another fiber transceiver provider, forming the most competitive transceiver modules providers in China Silicon Valley, Shenzhen. NeoPhotonics is a leading designer and manufacturer of photonic integrated circuit, or PIC, based optoelectronic modules and subsystems for bandwidth-intensive, high-speed communications networks. active copper cables. The company’s products enable cost-effective, high-speed data transmission and efficient allocation of bandwidth over communications networks. This entry was posted in FIberstore News and tagged FiberStore, NeoPhotonics on July 23, 2013 by Amelia.Liu. Summary: FiberStore announced the launch of a new return loss tester series JW3307B with enhanced features of high accuracy, compact appearance, stable and reliable test index, etc. FiberStore is pleased to announce a new return loss tester – Muti-mode Loss & Insertion Loss Test Station JW3307B, which is a high performance loss test station that is designed specially for Optical Passive Components production Test and Lab Test. The multimode interpolation return loss measuring instrument is specially used in the optical fiber cable and other fiber optic passive devices, optical active device and optical fiber communication system of insertion loss and return loss test. At the moment, this new return loss tester combines three different working modes as a return loss meter, optical power and loss meter and a stable laser source in one test station. JW3307B is a special circuit designed, with large dynamic range and weak signal accurate monitoring analysis, it can provide USB communication function, automatic storage of data. “This highly accurate return loss tester used Two LCD displays, and efficiently reduced eye strain of users. Besides the leakage design of optical power meter module and light source module also greatly reduced the operation procedures” commented Li Longqing, product manager, fusion splicer systems for FiberStore. This entry was posted in FIberstore News and tagged FiberStore, JW3307B, optical fiber cable on July 22, 2013 by Amelia.Liu. With the outbreak of emerging businesses such as high-definition video, social games, cloud computing and Internet of things, explosive growth of Internet content, so that the needs of next generation of Ethernet is increasing. Although the 40G/100G standards have been promulgated, the demand is also constantly stimulated, operators also verified the 100G with a commercial ability, but its scale popularity seems to have a distance, especially for 100G. What is the reason hindering the popularization, in technically what need to improve? When can really go the way of 100G? China Telecom Technology Committee Director Wei Leping said, to achieve the scale of promotion, the cost of 100G applications should be controlled at as 5-6 times as the cost of 10G, there is a certain distance currently. Ruijie experts said, from the point of the cost of fiber optic transceiver, 100G module costs several times higher than the cost of 10G transceiver. It also requires the upstream and downstream of the industrial chain complement each other, continue working hard in chip integration, integration of optical module miniaturization and system design, to achieve cost reduction of the overall product. In addition, the architecture design of network manufacturers are also important factors, the role of the scale cost reduction such as supporting cables, wiring and tools also can not be ignored. Overall, the 40G and 100G markets are in the early stage of market, but in contrast, the growth rate of 40G is faster than 100G, for example, Ruijie has made a considerable number of 40G commercial cases. While the 100G standard has completed, but there are still not small challenges in the core of the optical module/high-speed signal processing technology, 100G commercial products also just launched by manufacturers. Therefore, experts believe that, the mature of 100G market is expected to take at least three years. As we all know, the optical module technology cost is the key of the whole 100G system cost. But the 100G optical module devices are mainly controlled by foreign companies, although there are some Chinese enterprises introduced the 100G optical modules, but the quantity is too small, which virtually increases the 100G system cost. The 100G industrial chain including chip, optical devices, router to optical transmission system, and even the deployment, but the current situation is that, in the fiber optic module, the high-end core technology are basically controlled by foreign countries. Many experts said, the Chinese module makers have not domestic semiconductor chip production technology, no continuous wavelength tunable lasers and high-end modulator chip, the manufacturer can do 100G optical devices is rare. Although there are more and more manufacturers to join this camp now, but many companies just re-processing of imported products, the lack of core technology, so there is no competition. In addition to the short supply and not enough maturity of chip, optical devices and so on, some experts pointed out, the 100G industry chain supporting needs to be further improved, not only because the 100G optical network construction was just started, but also because the development of the 100G still faces challenges from the technology and market, for example, still exist cognitive gap in the line, construction, adjusting and testing, industry chain parties need to work together. Demand determines the market. From the current applications, in addition to some large data centers, the vast majority applications do not need the 100G bandwidth now, the bandwidth of 40G is sufficient; while the 40G products are more cost-effective than 100G products, and is expected to last a period of time, so the 40G products develop more smoothly than 100G in the moment. But apparently, the scene requires higher performance is relatively urgent demand for 100G, typical scenes such as super computing, cluster computing, etc. In the future, 40G and 100G will complement each other, service users in different application scenarios. This entry was posted in 100G Transceiver, FIberstore News and tagged 40G/100G, FiberStore, optical transceiver on July 2, 2013 by Amelia.Liu. FiberStore news, when assembled eliminated pure handmade reliable optical components containing hundreds of optics, steering the occasion of silicon photonics technology, the industry will enter a new better world. On the other hand, switching network upgrade from 10G to 100G, even when eventually reach 1TB, will also face tough challenges from silicon photonics technology. Some optical function is easy to realize by silicon, but some are not. In fact, the entire optical engine must be integrated in silicon platform. Optical engine can handle multiple high-speed electrical channels, converts it to optical signal, then together the information on these channels, through an fiber optic to transmit the information to any location ─ ─ distance from near to the next frame or as far as across the entire data center from the other end. At the receiving end, optical engine will flow received light streams separate into different channels, and then converted back to radio channel. In the data center, optical engine used for connecting the cluster switches and routers, which is a low power consumption, smallest pluggable transceiver technology; optical engine is also used in active optical cable to connect to the server and switch. In addition, the optical engine soon will also be embedded into the splint (mid-board) in order to reduce the consumption of board to board application and increase the density. However, integrating optical functions on CMOS platform will encounter many challenges, which is original used to realize electric function design. Take a look at each key photoelectric function and the challenges of its fully integration in a CMOS platform. Laser provides fiber optic light source for the optical engine, but to some data centers, using laser is too expensive. Kotura has developed chip function by using low-cost low-speed laser. Laser is a type of optical component which has not achieved single-chip integration, but the latest development of laser and array of flip chip bonding technology, have made it into a large number of low-cost manufacturing process. Chip functions removed the lens, isolator and beam collimator needed by traditional laser subassembly. The design of Kotura laser removed the expensive sealed package. In the automated assembly platform, just a few seconds for the array laser entire fabric and welded to silicon photonic chip, but also overcome the difficult problem of low-cost light source integrated in the chip. The real value of fiber optic network is the ability to combine multiple wavelengths of light into one entity channel. To the 100G interconnection,the use of this called wavelength division multiplexing (WDM) parallelism, put the light combination of four wavelengths in a fiber. Of course, the four parallel fiber channel can work, but this increases the cost of network, but also a waste of bandwidth of fiber optic. WDM makes the use of same data center architecture to expend become possible, in order to support more channels in the future. Because WDM requires both specific wavelength and multiplex wavelength laser, and therefore using silicon photonics to achieve is not easy. Nevertheless, the industry still don’t want to use the expensive specific wavelength laser, which is commonly used in telecommunications network. A better solution is to use a universal laser, through integration of optical switch reflector in the silicon chip changes universal laser into specific wavelength laser. By changing the position of the reflector, Kotura will make each gain chip becoming a unique specific wavelength laser. This entry was posted in FIberstore News and tagged fiber optic light source, fiber optic network on June 27, 2013 by Amelia.Liu. Transmode Systems AB says unveiled its iAccess portfolio, which leverages its iWDM-PON offering to help service providers roll out Ethernet access networks for applications such as business Ethernet and mobile backhaul services. The iAccess package combines a new compact, low-cost network interface (NID) with the company’s I-WDM – PON hardware and Enlighten multi-layer network management system to provide what Transmode asserts is a low-cost, simple to install/configure/manage, and highly scalable approach to last mile Ethernet applications. The systems use a “remote port” architecture which makes all NIDs into extensions of the Ethernet Muxponder to which they are connected. With the remote port architecture, the NID automatically takes device and service configuration data from the network when it is connected. This removes the need for a separated IP address for each NID, saying these sometimes scare resources. Coupled with the colorless optical layer through the WDM-PON optics, iAccess creates a highly automated, simple to operate, and scalable system, according to Transmode. This is particularly true in comparison to other approaches that are either derived from more complex and expensive optical access platforms or are based on simple hardware designed for residential applications, the company adds. The iAccess is thus ideally suited to the delivery of Ethernet-based services that need to scale to large volumes or where simplicity is key. Transmode continues. Installation procedures are quick and simple and Enlighten allows operators to create service templates to speed up deployment of multiple identical or similar services – enabling operators to minimize open costs in addition to the lower initial capex costs. This entry was posted in FIberstore News and tagged FiberStore, iAccess, WDM-PON on June 26, 2013 by Amelia.Liu. FiberStore news, with the rapid global deployment of FTTH, PON global market scale is constantly expanding, but the current PON market growth is beginning to slow down. In the recent “2013 China Optical Network Seminar”, Ovum principal analyst Julie Kunstler, said in an interview, during 2011-2012, the global GPON / EPON OLT has begun to decline in shipments, the total revenue of PON equipment market is also declined. However, although the growth of entire PON market started to slow down or even a decline, but 10G PON market has begun to be favored. Julie Kunstler said that, although it is not completely sure which sort of next generation PON technology will become the mainstream in the future, but in Ovum’s expectations, the shipments of 10G EPON OLT will maintain a growth trend. As for the Chinese broadband access market, Julie Kunstler believes that, due to the different wiring conditions of each region and each district, the future Chinese FTTx market penetration is expected to reach 40% -50%, the future will be a variety of access technologies co-exist, including PON, ADSL, VDSL, etc. Julie Kunstler pointed out that, 2012 was the first year GPON OLT shipments beyond that of EPON, but the OLT total market has already begun to decline. Data show that, in the first quarter of 2013, EPON OLT shipments decreased 7%, compared to the same period down 46%; GPON OLT shipments decreased by 9%, an increase of 28%. In revenues, in the first quarter of 2013, EPON revenue decreased 25%, down 46%; GPON revenues decreased 29 percent, an increase of 3%. Ovum predicts that, in the next few years, global GPON / EPON OLT shipments will further decline, it will be expected to from 41 million in 2012 decline to 13 million in 2018. At the same time, in 2012 GPON / EPON ONT / ONU’s shipments increased 43 percent compared to 2011, 2012 EPON ONT / ONU shipments still ahead of GPON ONT / ONU shipments, in 2013 GPON ONT/ONU shipments will just run after EPON. Although entire PON market growth started to slow down or even a decline, but 10G PON market has begun to rise. Julie Kunstler said that, although what sort of future generation PON technology will become the mainstream is still not completely sure, but in Ovum’s expectations shipments of 10G EPON OLT will maintain a growth trend, and its application scenarios will be mainly reflected in FTTB, mobile backhaul, etc. Ovum forecasts, 10G EPON OLT’s shipments will maintain growth trend in 2018 will reach 500 thousand, 10G GPON OLT’s shipments will still be relatively small. This entry was posted in FIberstore News and tagged FTTH, ONT/ONU on June 25, 2013 by Amelia.Liu. According to foreign media reports, it is predicted by the Telecommunications Industry Association (TIA) in the annual report on Monday that U.S telecommunication expenditure will reach 1.2560 trillion, and in 2014 re-growth of 6.8%. In 2012, telecom expenditures grew 6.2% year on year. Telecommunications Industry Association recently said that the U.S telecommunications revenues in 2013 increased by 7.1%, including cloud computing, machine-to-machine wireless services and network security as the fastest growing sectors. The TIA said, the high costs of operators’ cloud computing, machine-to-machine Wireless service and network security will offset the impact of the slowdown of traditional wire line service. TIA predicts that by 2013, the U.S market for cloud service will grow by 19% to $56 billion. The report said, Amazon web service is currently the largest cloud service provider. The report also indicated that nearly 200 government agencies use AWS, while Amazon’s Elastic Compute Cloud, or EC2 is becoming a huge storage server. Report also refer to other open cloud service providers include Citrix Systems, Inc., Rackspace and Red Hat. The report shows that Google in June 2012 launched the open source cloud services, and Microsoft launched Windows azure. Telecommunications Industry Association predicted that in 2013, the machine-to-machine services will grow by 45% to $7.4 billion. Network security will be increased by 14.4% to $39.5billion. This entry was posted in FIberstore News on June 22, 2013 by Amelia.Liu. What Is SWDM4 and 100G SWDM4 Transceiver? 25G Ethernet – How It Develops and What’s the Future of It? How to Choose A Suitable Power Over Ethernet Switch? Why Should You Use A Managed Switch With PoE? 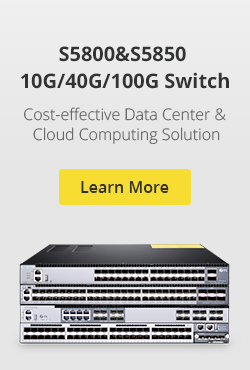 How to Build Affordable 10G Network for Small and Midsize Business?